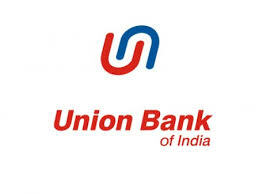 Union Bank of India (UBI) is one of the largest governments owned bank of India. If you are UBI Bank account holder then you should keep this information in hand. You can save or bookmark this page in your internet browser by pressing CTRL+D from your keyboard. Here you will get all information in short form, we will not bored your by long page articles. If you want to check last 5 transactions or mini statement of Union Bank of India (UBI) account then you may give a missed call to this number : Not available right now. Union Bank of India Balance Enquiry by *99# Facility: Dial *99# from your registered mobile number and follow instructions received by USSD. Union Bank of India Balance Enquiry by UPI App Facility: Download official UBI UPI app from Google Play / Window Store or Play Store. You can also use BHIM app launched by PM Narendra Modi. Just type- “UBAL” and send it to the number- 09223008486. For mini statement, just type- “UMNS” and send it to the number- 09223008486.